For as long as I can remember my life has involved trips to Wales. From north to south the country is littered with my family and friends, but it's also a great place for a holiday and there's something extra special about finding myself on the right side of the border. The variety of Welsh destinations I regularly travel to means there's no one road most travelled, but given the choice nothing beats the Severn Bridge for making an entrance to a country. I must've been about seven the first time my Dad drove me across the original suspension bridge, which to me was the biggest, most impressive river crossing in the world. I don't remember that first journey, but I do remember – years later – the first time I crossed the Second Severn Crossing* and was able to enjoy the view of the original bridge: marvelling at its size, the beauty of the river below and being very grateful it was there to shorten our journey. The second crossing is a cable-stayed bridge, yes, that's probably more information than you needed, but I'm a bit of a fan of bridges so I couldn't resist sharing. In fact, the more I think about this blog post the more I wonder at the influence these two bridges must have had on my consciousness, impressing a young Erica so much that when in later life I looked to end my brief time as a resident of Wales I chose my then new home because of its proximity to another bridge. Another, more relevant to here, side-effect of all those crossings of the two Severn Bridges is Chepstow's appearance in my consciousness. Regularly driving past signs for the town put it on my 'must-visit one day' list, and yet more than 15 years after that first pass I'd still not left the motorway to find out what I was missing. Which is where a bookshop comes in. 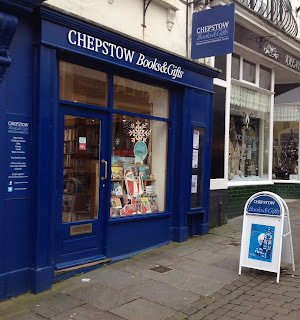 The Chepstow Bookshop managed what general curiosity had failed to achieve: instead of pausing at the nearby service station, I left the motorway for a proper break in a proper community. 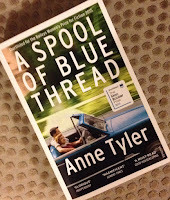 My visit took place on the morning of a bank holiday, so I found myself driving through a pleasantly empty town and enjoying the luxury of a half-empty car park within easy reach of the bookshop, which wasn't opening until noon. The plan was to explore a little of the town first, then to round off my visit with books. However things didn't quite work out as planned as roughly three doors away I stumbled across a cafe with a specials menu dedicated to crumpets. So, for my comments on the town itself I can tell you Tiffin Vintage Tea & Coffee House is the perfect place to stop for a bite, enjoy relaxing surroundings and read a book, and that it's on an interesting street of independent shops. That may sound like a rubbish explanation of a town I've long wanted to visit, but if, like mine, your needs are crumpets and books it's the perfect visitor experience. And so to the main event. Even if you don't want to make the most of the nearby offering of crumpets, The Chepstow Bookshop is worth a diversion from the motorway. I arrived shorty after opening so it was naturally a little quiet, but not empty, as a mother read to her daughter in the children's section while dad got on with the shopping. 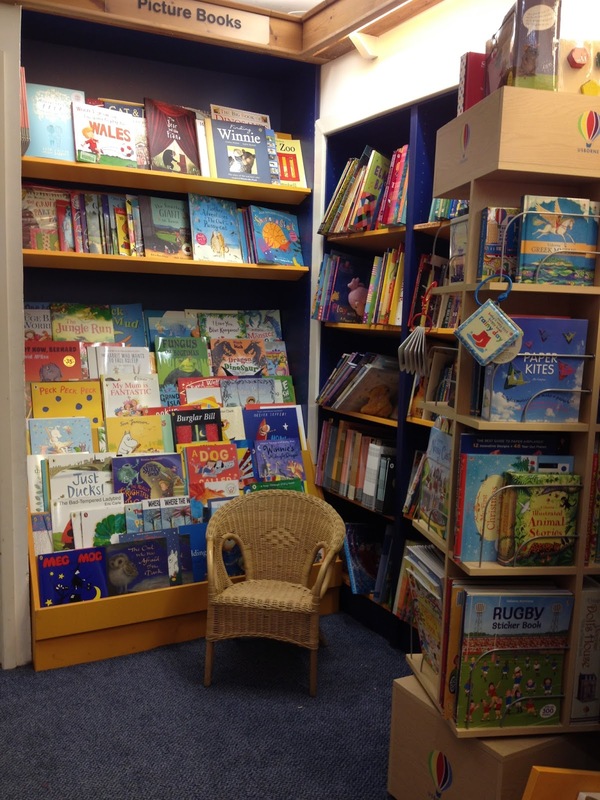 There's something extra special about hearing an adult and child enjoying a bookshop in such a way, those two voices filling the room with adventure, laughter and the possibilities of a lifetime of reading. As the family were tucked away at the back of the bookshop – the children's section is slightly hidden from view by a cleverly placed bookcase – I contented myself with investigating a packed wall of fiction, a fascinating recommends table, areas of non-fiction and a great selection of gifts. Hardbacks run along ledges at the bottom of the main shelves, and occasional markers stand out from among the fiction, drawing attention to a particular Penguin title and listing others to help browsers find their next read. 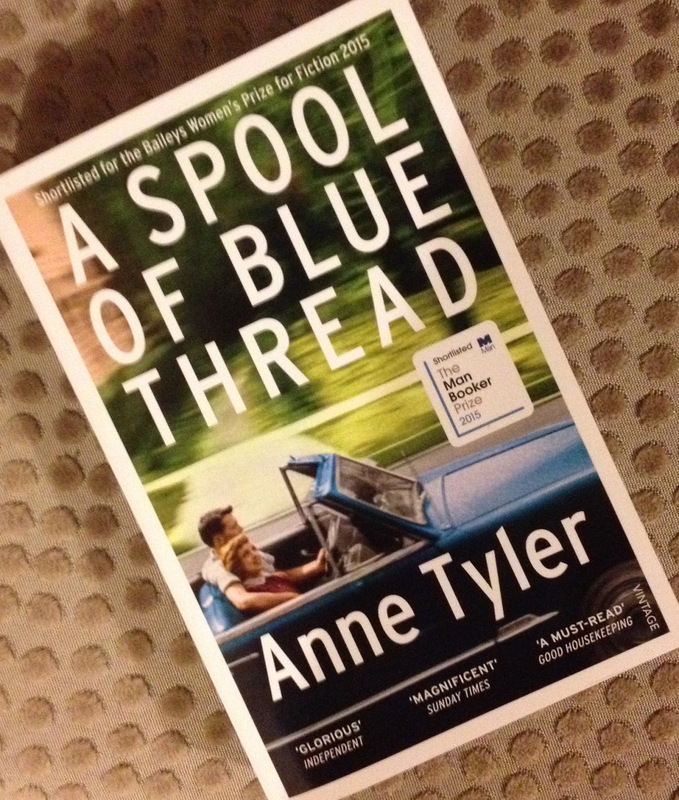 Both the wall of fiction and assorted recommends grabbed my attention, but in the end I was drawn to Anne Tyler's A spool of blue thread, which has been recommended to me by just about every bookish person I know over the past few weeks. I'd previously resisted buying the book until, stood in this bookshop near the bridge, the idea of winding through the past caught my attention. Perhaps because I couldn't help but wonder: how different might my own life be if I'd never crossed those bridges? Oh no! I have to confess to being a bit rubbish at remembering to update Pinterest but I do hate it when web browsers suddenly disable features for no reason.